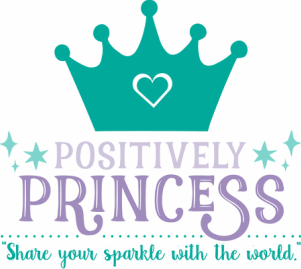 Positively Princess is a week long camp for girls that focuses on teaching positive character traits to girls ages 5-10. Our time will be spent reading stories, teaching mini-lessons using strong female characters as role models, doing crafts, having healthy snacks, playing games, meeting new friends and most of all having fun while making summer memories. Positively Princess founders, Susan Hughes and Tracee Myers, are certified teachers with over 30 years experience combined. They are also moms with a desire to spread positivity throughout the community and add a little sparkle along the way. Camp will take place at Moondog Yoga in Quakertown, PA from 9am-1pm Monday, June 26th-Friday, June 30th. A second week of camp will be offered at Presbyterian Church of Deep Run in Perkasie, PA from 9am-1pm Monday, July 24th-Friday, July 28th. Registration is $165 per princess or $135 if registration is received by May 31st. Returning princesses from 2016 will have a rate of $125 for the week. Your investment in camp includes all camp activities, craft materials, a daily snack (campers bring their own lunch) and a camp t-shirt. The recommended age is 5-10 years old.